A colonial misadventure that explodes into weird realms of cosmic embarrassment, Lucrecia Martel’s slow-burn comedy is unlike anything you’ll see this year. Argentina’s Lucrecia Martel hasn’t released a feature in 10 years: 2008’s unnerving The Headless Woman, about a cell-phone user who hits something with her car—an animal?—and goes crazy thinking about it. But if Martel needs that kind of time to pack so much psychology into such elegant, arrestingly strange packages, we’ll give it to her. 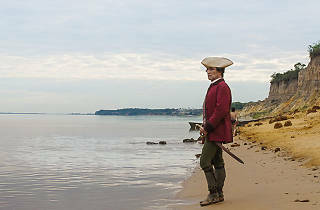 Her latest drama dives into churning internal fury: On the surface, it’s an 18th-century period piece about an insulted Spanish colonial officer (Daniel Giménez Cacho, wonderfully fragile) who seethes at every snub, perceived or imaginary. But Zama deepens into a comeuppance story, as our antihero goes from taking out his petty embarrassments on the powerless to becoming a demoted desperado, riled by children and superiors alike. The material comes from a celebrated 1956 novel of the same name by Antonio di Benedetto, but Martel’s close-ups of her red-faced leading man—scored to a plummeting synth straight out of Scarface—edge the film into comic territory. And we haven’t even mentioned the llama yet. 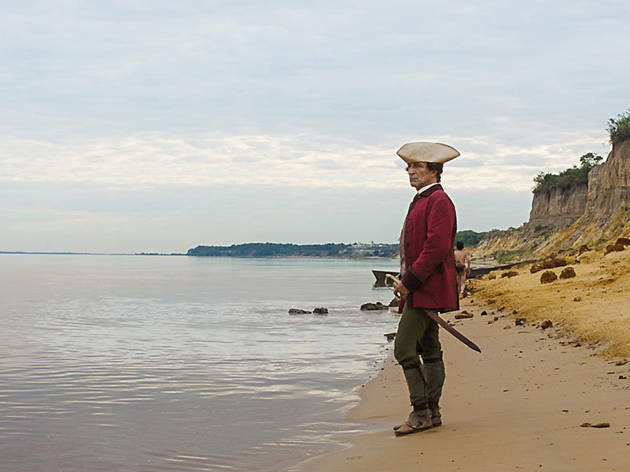 The film’s languorous, tangential flow isn’t for everyone, but you’ll be surprised by how easily you can roll with it, especially if you tune into Zama’s cringe-funny frequency. There are other movies about men heading desperately up river toward some kind of psychological showdown, maybe of their own making: Apocalypse Now and Werner Herzog’s epic Aguirre, the Wrath of God come to mind. But when Martel does that, pushing her guy into hypnotically surreal surroundings of mossy green water and a vague quest for self-definition, she never loses sight that the joke is on him.